To record the woes of authors and to discourse de libris fatalibus seems deliberately to court the displeasure of that fickle mistress who presides over the destinies of writers and their works. Fortune awaits the aspiring scribe with many wiles, and oft treats him sorely. If she enrich any, it is but to make them subject of her sport. If she raise others, it is but to pleasure herself with their ruins. What she adorned but yesterday is to-day her pastime, and if we now permit her to adorn and crown us, we must to-morrow suffer her to crush and tear us to pieces. To-day her sovereign power is limited: she can but let loose a host of angry critics upon us; she can but scoff at us, take away our literary reputation, and turn away the eyes of a public as fickle as herself from our pages. Surely that were hard enough! Can Fortune pluck a more galling dart from her quiver, and dip the point in more envenomed bitterness? Yes, those whose hard lot is here recorded have suffered more terrible wounds than these. They have lost liberty, and even life, on account of their works. The cherished offspring of their brains have, like unnatural children, turned against their parents, causing them to be put to death. Fools many of them—nay, it is surprising how many of this illustrious family have peopled the world, and they can boast of many authors’ names which figure on their genealogical tree—men who might have lived happy, contented, and useful lives were it not for their insane cacoethes scribendi. And hereby they show their folly. If only they had been content to write plain and ordinary commonplaces which every one believed, and which caused every honest fellow who had a grain of sense in his head to exclaim, “How true that is!” all would have been well. But they must needs write something original, something different from other men’s thoughts; and immediately the censors and critics began to spy out heresy, or laxity of morals, and the fools were dealt with according to their folly. There used to be special houses of correction in those days, mad-houses built upon an approved system, for the special treatment of cases of this kind; mediaeval dungeons, an occasional application of the rack, and other gentle instruments of torture of an inventive age, were wonderfully efficacious in curing a man of his folly. Nor was there any special limit to the time during which the treatment lasted. And in case of a dangerous fit of folly, there were always a few faggots ready, or a sharpened axe, to put a finishing stroke to other and more gentle remedies. One species of folly was especially effective in procuring the attention of the critics of the day, and that was satirical writing. They could not tolerate that style—no, not for a moment; and many an author has had his cap and bells, aye, and the lining too, severed from the rest of his motley, simply because he would go and play with Satyrs instead of keeping company with plain and simple folk. Far separated from the crowd of fools, save only in their fate, were those who amid the mists of error saw the light of Truth, and strove to tell men of her graces and perfections. The vulgar crowd heeded not the message, and despised the messengers. They could see no difference between the philosopher’s robe and the fool’s motley, the Saint’s glory and Satan’s hoof. But with eager eyes and beating hearts the toilers after Truth worked on. “How many with sad faith have sought her? How many with crossed hands have sighed for her? In honour of these scholars of an elder age, little understood by their fellows, who caused them to suffer for the sake of the Truth they loved, we doff our caps, whether they jingle or not, as you please; and if thou thinkest, good reader, that ‘twere folly to lose a life for such a cause, the bells will match the rest of thy garb. The learning, too, of the censors and critics was often indeed remarkable. They condemned a recondite treatise on Trigonometry, because they imagined it contained heretical opinions concerning the doctrine of the Trinity; and another work which was devoted to the study of Insects was prohibited, because they concluded that it was a secret attack upon the Jesuits. Well might poor Galileo exclaim, “And are these then my judges?” Stossius, who wrote a goodly book with the title “Concordia rationis et fidei,” which was duly honoured by being burnt at Berlin, thus addresses his slaughtered offspring, and speculates on the reason of its condemnation: “Ad librum a ministerio damnatum. “Q. Parve liber, quid enim peccasti, dente sinistro. Quod te discerptum turba sacrata velit? But think not, O Book-lover, that I am about to record all the race of fools who have made themselves uncomfortable through their insane love of writing, nor count all the books which have become instruments of accusation against their authors. That library would be a large one which contained all such volumes. I may only write to thee of some of them now, and if thou shouldest require more, some other time I may tell thee of them. Perhaps in a corner of thy book-shelves thou wilt collect a store of Fatal Books, many of which are rare and hard to find. Know, too, that I have derived some of the titles of works herein recorded from a singular and rare work of M. John Christianus Klotz, published in Latin at Leipsic, in the year 1751. To these I have added many others. The Biographical Dictionary of Bayle is a mine from which I have often quarried, and discovered there many rare treasures. Our own learned literary historian, Mr. Isaac Disraeli, has recorded the woes of many of our English writers in his book entitled “The Calamities of Authors” and also in his “Curiosities of Literature.” From these works I have derived some information. 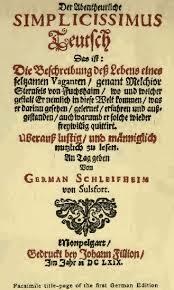 There is a work by Menkenius, “Analecta de Calamitate Literatorum”; another by Pierius Valerianus, “De Infelicitate Literatorum”; another by Spizelius, “Infelix Literatus”; and last but not least Peignot’s “Dictionnaire Critique, Litteraire et Bibliographique, des Livres condamnes au Feu” which will furnish thee with further information concerning the woes of authors, if thine appetite be not already sated. And if there be any of Folly’s crowd who read this book—of those, I mean, who work and toil by light of midnight lamp, weaving from their brains page upon page of lore and learning, wearing their lives out, all for the sake of an ungrateful public, which cares little for their labour and scarcely stops to thank the toiler for his pains—if there be any of you who read these pages, it will be as pleasant to you to feel safe and free from the stern critics’ modes of former days, as it is to watch the storms and tempests of the sea from the secure retreat of your study chair. And if at any time a cross-grained reviewer should treat thy cherished book with scorn, and presume to ridicule thy sentiment and scoff at thy style (which Heaven forfend! ), console thyself that thou livest in peaceable and enlightened times, and needest fear that no greater evil can befall thee on account of thy folly in writing than the lash of his satire and the bitterness of his caustic pen. After the manner of thy race thou wilt tempt Fortune again. May’st thou proceed and prosper! Vale. I desire to express my many thanks to the Rev. Arthur Carr, M.A., late Fellow of Oriel College, Oxford, for his kind assistance in revising the proofs of this work. It was my intention to dedicate this book to Mr. John Walter, but alas! his death has deprived it of that distinction. It is only possible now to inscribe to the memory of him whom England mourns the results of some literary labour in which he was pleased to take a kindly interest. Michael Molinos—Bartholomew Carranza—Jerome Wecchiettus—Samuel Clarke—Francis David—Antonio de Dominis—Noel Bede—William Tyndale—Arias Montanus—John Huss—Antonio Bruccioli—Enzinas—Louis Le Maistre—Caspar Peucer—Grotius—Vorstius—Pasquier Quesnel—Le Courayer—Savonarola—Michael Servetus—Sebastian Edzardt—William of Ockham—Abelard. CHAPTER II. FANATICS AND FREE-THINKERS. Quirinus Kuhlmann—John Tennhart—Jeremiah Felbinger—Simon Morin—Liszinski—John Toland—Thomas Woolston—John Biddle—Johann Lyser—Bernardino Ochino—Samuel Friedrich Willenberg. CHAPTER III. ASTROLOGY, ALCHEMY, AND MAGIC. Henry Cornelius Agrippa—Joseph Francis Borri—Urban Grandier—Dr. Dee—Edward Kelly—John Darrell. CHAPTER IV. SCIENCE AND PHILOSOPHY. Bishop Virgil—Roger Bacon—Galileo—Jordano Bruno—Thomas Campanella—De Lisle de Sales—Denis Diderot—Balthazar Bekker—Isaac de la Peyrere—Abbe de Marolles—Lucilio Vanini—Jean Rousseau. Antonius Palearius—Caesar Baronius—John Michael Bruto—Isaac Berruyer—Louis Elias Dupin—Noel Alexandre—Peter Giannone—Joseph Sanfelicius (Eusebius Philopater)--Arlotto—Bonfadio—De Thou—Gilbert Genebrard—Joseph Audra—Beaumelle—John Mariana—John B. Primi—John Christopher Ruediger—Rudbeck—Francois Haudicquer—Francois de Rosieres—Anthony Urseus. CHAPTER VI. POLITICS AND STATESMANSHIP. John Fisher—Reginald Pole—“Martin Marprelate”—Udal—Penry—Hacket—Coppinger—Arthington—Cartwright—Cowell—Leighton—John Stubbs—Peter Wentworth—R. Doleman—J. Hales—Reboul—William Prynne—Burton—Bastwick --John Selden—John Tutchin—Delaune—Samuel Johnson—Algernon Sidney—Edmund Richer—John de Falkemberg—Jean Lenoir—Simon Linguet—Abbe Caveirac—Darigrand—Pietro Sarpi—Jerome Maggi—Theodore Reinking. Roger Rabutin de Bussy—M. Dassy—Trajan Boccalini—Pierre Billard—Pietro Aretino—Felix Hemmerlin—John Giovanni Cinelli—Nicholas Francus—Lorenzo Valla—Ferrante Pallavicino—Francois Gacon—Daniel Defoe—Du Rosoi—Caspar Scioppius. Adrian Beverland—Cecco d’Ascoli—George Buchanan—Nicodemus Frischlin—Clement Marot—Gaspar Weiser—John Williams—Deforges—Theophile—Helot—Matteo Palmieri—La Grange—Pierre Petit—Voltaire—Montgomery—Keats—Joseph Ritson. CHAPTER IX. DRAMA AND ROMANCE. Sir John Yorke and Catholic Plays—Abraham Cowley—Antoine Danchet—Claude Crebillon—Nogaret—Francois de Salignac Fenelon. CHAPTER X. BOOKSELLERS AND PUBLISHERS. The Printers of Nicholas de Lyra and Caesar Baronius—John Fust—Richard Grafton—Jacob van Liesvelt—John Lufftius—Robert Stephens (Estienne)--Henry Stephens—Simon Ockley—Floyer Sydenham—Edmund Castell—Page—John Lilburne—Etienne Dolet—John Morin—Christian Wechel—Andrew Wechel—Jacques Froulle—Godonesche—William Anderton. CHAPTER XI. SOME LITERARY MARTYRS. Leland—Strutt—Cotgrave—Henry Wharton—Robert Heron—Collins—William Cole—Homeric victims—Joshua Barnes—An example of unrequited toil—Borgarutius—Pays.